Although I've owned a Japanese 3DS (read about it here) for about two months now, I've yet to buy a game for it. (Not even a digital one.) I have, however, downloaded a healthy number of demos from that region's eShop. As such, I thought it might be nice to write up a few mini-reviews of three of the demos I've played so far. 1. Neratte! Tobashite! Rilakkuma Guragura Sweets Tower--You didn't expect me to pass up this demo, did you--especially after I slobbered over its cover art in this previous blog post? Anyway, this one's a pretty straightforward demo: it can be played just three times and it offers up three levels of varying complexity. As I believe I shared in the aforementioned blog post, Neratte! Tobashite! 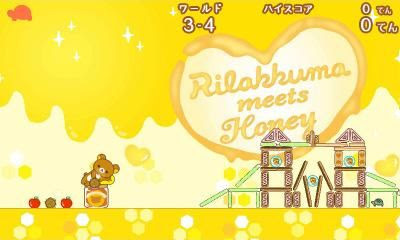 Rilakkuma Guragura Sweets Tower is little more than an Angry Birds clone--which isn't a bad thing, in my opinion. It helps, of course, that it attempts to bring a few new things to the Angry Birds table, such as awarding bonus points for hitting characters from the Rilakkuma universe that are strewn about some of the levels. It also helps that the graphics (and the soundtrack, too, I guess) in this one are the gaming equivalent of a sugary waffle covered with ice cream, caramel and a cherry on top. 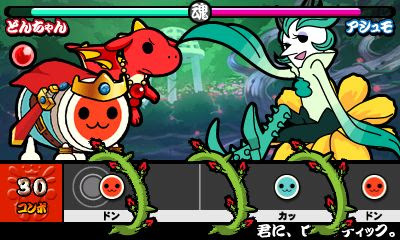 Given all of the above, I'd actually pick up a copy of this disgustingly adorable game--if doing so wouldn't set me back as much as it currently would. 2. Shippuu no Usagi-Maru: Megumi no Tama to Fuuma no Shirushi--I've been trying to come up with an existing game that is most like this eShop-only puzzler-platformer since I first played this demo, but I can't quite do it. The closest one I can think of is Konami's Moai-kun for the Famicom, although even that isn't the best point of comparison. Regardless, both games task players with doing a bit of platforming while avoiding traps, pushing and pulling blocks, saving kidnapped maidens--that sort of thing. 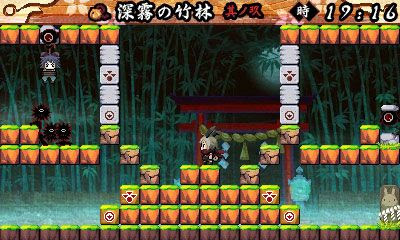 Anyway, Shippuu no Usagi-Maru's demo is pretty beefy as far as demos go, what with its seven included stages. Granted, five of them are little more than tutorials, but believe me when I say such introductions are needed if the second of the "real" levels is representative of the level of challenge that awaits folks who buy the full game. (It took me five tries to get through said stage.) That's a big plus in my book, as are the pixel-based graphics and Asian-influenced soundtrack found in this Arc System Works-published title. The trio of demos discussed above are just a small sample of the ones I've nabbed from the Japanese eShop, so expect a similar post (or two) to this one to be published soon. oh these look like fun! so jealous i can't play them. btw, did they make a demo for the kitty dynasty warriors game? i want that so hard! Hmmm, I don't think so, Steve. I'll be sure to check soon, though, and let you know, OK? I didn't know there was a demo for the Rilakkuma game! I'll have to check it out. That second game looks a little like Solomon's Key...or Fire and Ice. BTW, I'm not-so-secretly thrilled that someone I know has access to the Japanese eShop. It's like a portal into a strange new world. Oh, yes, I see that resemblance, too, Justin. The game definitely has a bit of an 'old school' look to it. It's pretty fun, too, so hopefully someone will bring it to the States.